I would like to take this opportunity to thank all the amazing people at THHN who arranged our break in September and the fabulous businesses, groups and individuals who support them by donating meals, gifts and special days out and funding the Lodge. Unfortunately, I was diagnosed with incurable secondary breast cancer in June 2017 aged 36, and was given a life expectancy of just 1-2years due to the aggressive nature and extensive spread of cancer. This has been exceptionally difficult to deal with, having young children who were only aged 2 and 5 years old. Thankfully, my husband, Stephen has been incredibly supportive but has been forced to give up work to care for me due to my progressing illness and mobility issues. 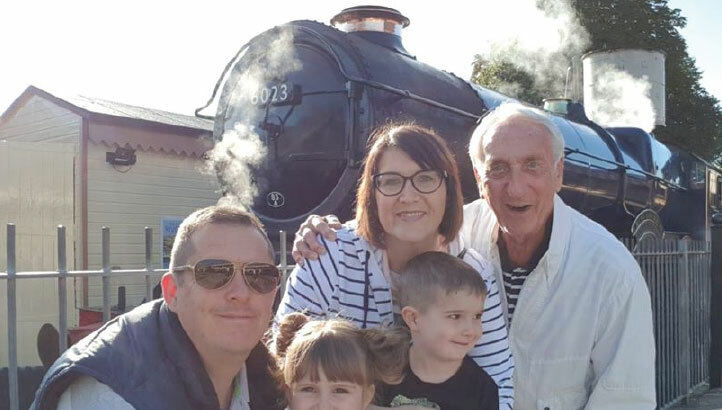 We are determined to ‘live with’ this illness as opposed to be ‘dying from’ it during this time, and making magical memories for Stephen and the children to remember forever has become so very important. 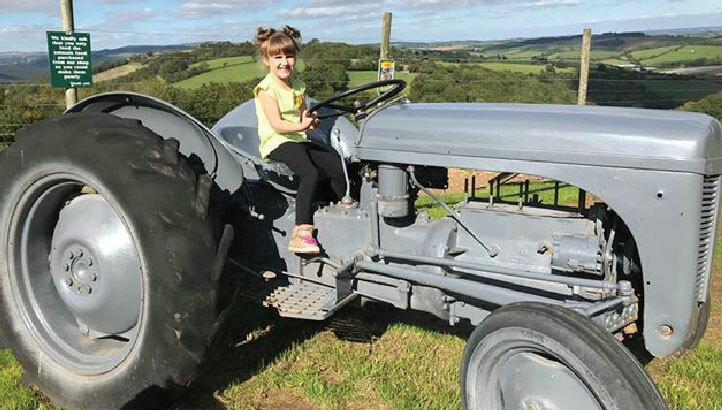 From the moment we arrived at the THHN lodge in Paignton, we were amazed by how beautiful it was; the kid’s faces were an absolute picture! Especially when they saw their beautiful bedroom complete with bunk beds, en-suite shower room and toy box! The children were even gifted a beautifully handcrafted quilted blanket each, which they still snuggle up to now. 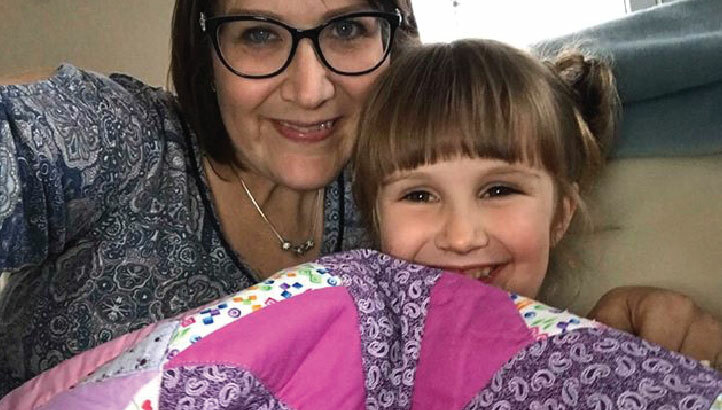 We chilled out in the comfort of the beach hut style lodge for the first couple of days as the journey had been tiring, especially whilst undergoing the harsh chemotherapy treatment. Then we had some amazing days out, courtesy of the wonderful local businesses who support THHN. 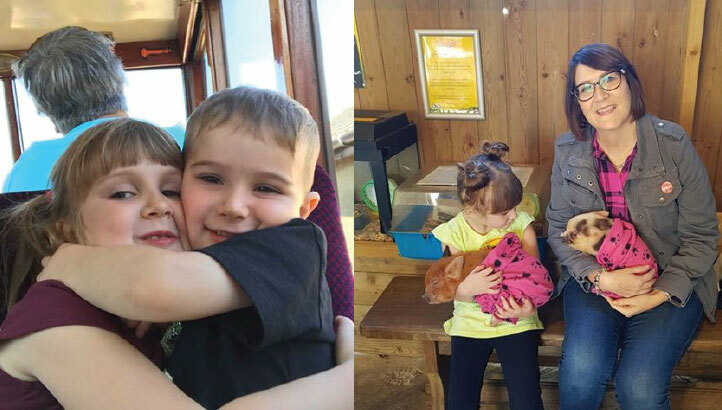 Our favourite places were the Babbacombe Cliff Railway/Restaurant, Dartmouth steam railway and riverboat company and the unmissable Pennywell Farm, which was the best children’s farm we’d ever visited! Snuggling the baby micropigs there was the absolute highlight of our trip and certainly one we will never forget! Thanks again to all involved, you have all helped our family make precious memories that will last a lifetime. To show our gratitude, I requested donations to THHN instead of cards or gifts for my recent birthday and we were delighted to have raised over £500 to support this amazing cause. Hopefully this can go towards helping another family in a similar position.